3D washable paint pens make writing and painting POP. Lines raise as they dry. Perfect for school projects, posters, drawings or outlining. 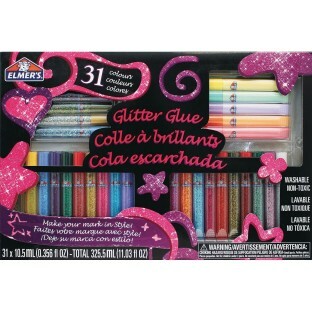 31 classic, bold, sparkle, pastel and fluorescent colors. 3D washable paint pens make writing and painting POP! Lines raise as they dry. Perfect for school projects, posters, drawings or outlining. Safe and non-toxic. 31 classic, bold, sparkle, pastel and fluorescent colors. .36 fl. oz. each (11.06 fl. oz. total).